Jennifer Mullett has represented clients in all areas of family law and domestic relations matters for over 15 years. She is widely recognized for her skills in both negotiation and litigation, and she strives for practical solutions. Drawing upon her degree in psychology, Jennifer has an acute understanding of the emotional and psychological issues frequently involved in family law matters. 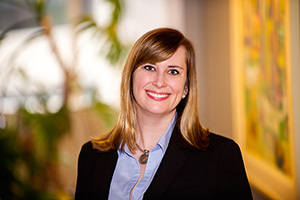 Jennifer has been recognized by Best Lawyers in America, she lectures at Continuing Legal Education seminars, and she is an active member of the Virginia Trial Lawyers Association and Arlington County Bar Association.